Autumn is almost in sight and for Texans that means cooling trends in the 80s. 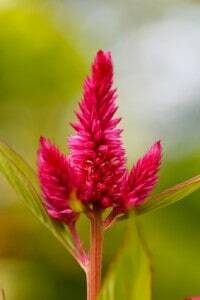 These lower temperatures and potential for fall rains creates the perfect conditions for you to add plants with colorful leaves and flowering plants back into your landscape to celebrate the return of milder weather. Traditionally, early September is one of the best times of the year to add new greenery in Texas. You should expect that whatever you plan now will last until first freeze of the season. For residents of central Texas, that first freeze usually happens around the end of November/beginning of December. Before you begin your project, consider adding a bit of fall color to established flowerbeds or to pots located near a front door or, if you have one, a patio area. Celosia plumosa (cockscomb) – produces feathery flowers and comes in yellow, pink, red and maroon. sweet potato vines – fast-growing and light yellow-green in color. moss roses – sun-loving, low growing flowering plants that produce yellow, orange or pink blossoms. dusty miller – has gray-green to almost white deeply indented felt-like leaves; makes for a striking addition to any landscape. chrysanthemums – adapts well to potted environments and produces big, colorful blooms. You can prolong the growing season of these plants (and especially the ones that produce flowers) by protecting them from early frost and freezes with a sheet or row cover cloth. At South Austin Irrigation, we are committed to helping our clients achieve the most beautiful results with their landscaping. Regardless of the time of year, we’re here to help you with all your irrigation repair needs. 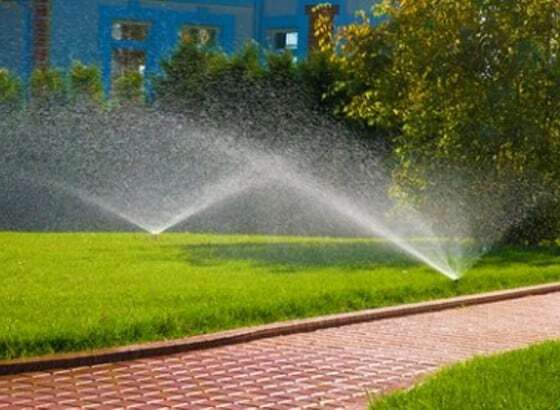 For the best in irrigation system inspection, service and repair, contact us today! If you’re like many Austinites, you use St. Augustine grass for your landscaping because it’s drought resistant. But many St. Augustine varieties – including Bitterblue, Floratine, Delmar, Palmetto and Jade – are also susceptible to damaging infestations of a pest known as the southern chinch bug. Adult chinches are black and oval in shape and are approximately 1/6 of an inch long. Females live two months, but lay many eggs during their lifetime. The nymphs that emerge from these eggs mature within just 4 to 5 weeks. Chinch bugs feed on St. Augustine by extracting plant juices from grass blades with their piercing beaks. These pests typically congregate in one area of a lawn. St. Augustine grass infested with chinch bugs usually turns yellow, grows slowly and then becomes brownish-red just before it dies. Chinch bug damage occurs near the soil’s surface and is most common in sunny areas near driveways. The way to discourage chinch bug infestations is to avoid overwatering. You should also stay away from nitrogen rich fertilizers. To help get rid of this pest, you should use insecticides that are specifically for the treatment of chinches, which you can find at your local nursery or garden center. One thing to remember is that while you may be able to control the chinch bug population in your lawn, you’ll never entirely eliminate this pest. If you can decrease chinch bug presence by 80%, consider your efforts a success. 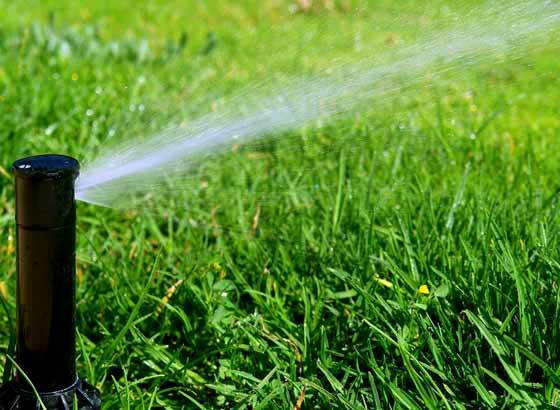 South Austin Irrigation specializes in irrigation system inspection and repairs or all types of irrigation systems. For all your irrigation system repair needs, contact us today! The heat of summer can burn bare patches into even the best-kept lawns. But the good news is that early fall – which is now only a month away – is prime sodding season. Sod is essentially a mature grass cover that has been professionally cultivated and cut into easy-to-lay-down squares. What makes it so popular is that it allows you to see the results of grass landscaping much more quickly than if you planted seeds. The first thing to determine is how you will use your sod. It is just as effective for “patch jobs” as it is for redoing entire grassy areas. Once you’ve done that, then you can begin the actual work of laying it down. Do this to a depth of 4 or so inches. If you are only working a small area, use a pitchfork. Otherwise– and especially those covered in hard soil – us a rototiller for large areas. Rake the soil using a garden a garden rake to create an even surface. Wet the soil thoroughly with a soaker hose or sprinkler 2 to 3 days before planting the sod, which needs dampness to get established. This is important so that you will have as straight a pattern to work with as possible. For example, if the sod will abut a driveway, sidewalk or path, begin sodding against these pre-established landmarks. Lay squares of sod side-by-side. Build the first row and then move on to the next. Use a carpet knife to cut pieces of side to different lengths and don’t forget to stagger the joints as though you were laying down bricks. Use a soaker hose to wet newly laid sod to a depth of four inches. After that, be sure to water daily for the first two weeks. Sod takes approximately 3 to 4 weeks to get established. Because Austin is still under stage 2 water restrictions, you will need to water it once or twice a week. Get ready, Austinites – spring is almost here! 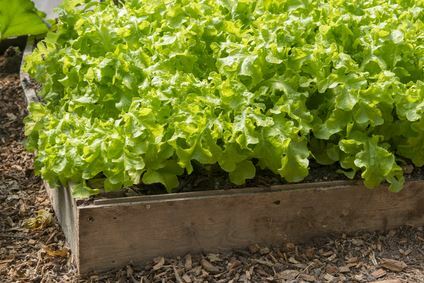 If you’re looking for new landscaping ideas for the new season, consider adding a raised bed to your garden. Not only can it improve soil fertility and drainage. It can also help you grow larger, healthier plants. Once you’ve found a spot for your raised bed, carefully measure the area. Divide the total area into rows three to five feet wide. Adjust the width of your rows based on the mature size of the plants you intend to grow in each row. Mark the outer edges of each row using wooden stakes. Excavate the soil inside the area you marked off using your shovel to a depth of one foot. Pile the dirt nearby on the plastic sheet or tarp. If your soil has a heavy clay or sand content, mix it with compost to improve fertility and drainage. Multiply the length, width and height of your raised bed (above ground) to determine the volume of topsoil needed to add to your raised bed. Mix the topsoil into the dirt you removed from the bed. Use a shovel to loosen and aerate pit soil to a depth of one foot. Begin placing masonry blocks around the pit perimeter to create a wall around the edge. Stack blocks in horizontal layers and stagger the blocks in each layer so that the ends of each block are above the middle of the blocks underneath them. When the wall reaches two feet in height, stop adding blocks. Shovel the new mixture of topsoil back into the area inside the wall. Apply the soil evenly over the excavated area, but avoid walking on or compacting it. Scan the soil for any large rocks or trash and remove them. No matter the season, South Austin Irrigation is here to help you make the most of your outdoor environment. 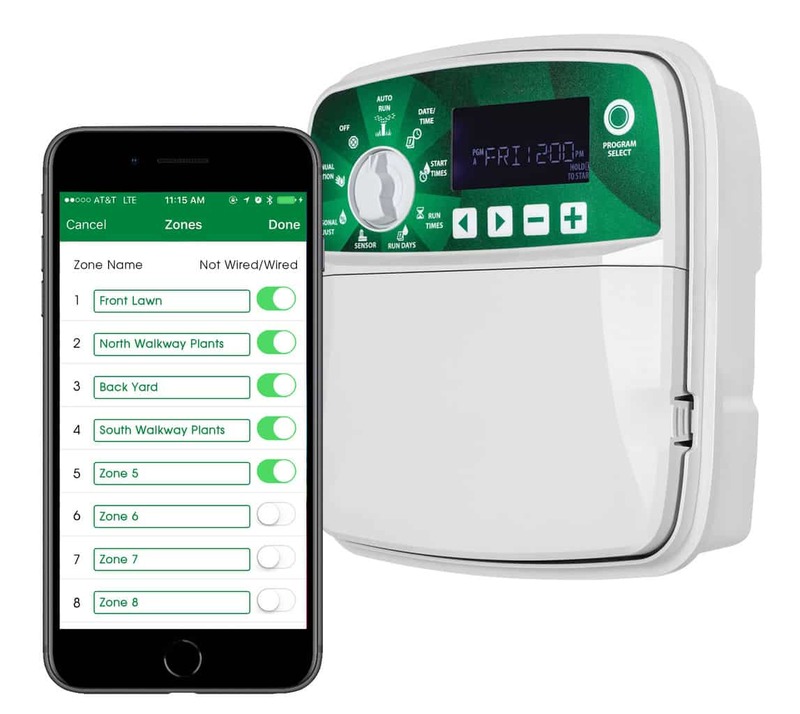 Call us when you need help with your irrigation system!